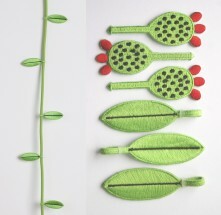 Cactus & Green leaves – Baynes&Co. 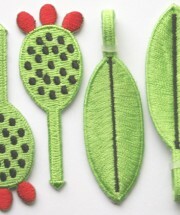 Embroidered cactus & Green leaves with fixing to add to lighting flex. To order. £6.50 for 3.